HERAT, Afghanistan — Too poor to even buy pens and notebooks for school, Mehdi left his home in Afghanistan soon after his 17th birthday and headed to Iran, hoping to make his way to Europe and find work. He never made it there. Instead, Mehdi ended up fighting in Syria’s civil war, a conflict he had nothing to do with, 2,000 kilometers (1,200 miles) from his home. He was one of tens of thousands of Afghans recruited, paid and trained by Iran to fight in support of Tehran’s ally, Syrian President Bashar Assad. There, he found himself thrown into one of the war’s bloodiest front lines, surrounded by the bodies of his comrades, under fire from Islamic militants so close he could hear their shouts of “Allahu akbar” before each mortar blast. “Here in Afghanistan we are afraid. They say we are all terrorists,” said Mehdi, now 21 and back in his home city of Herat. He was terrified, speaking on condition he not be fully identified for fear of retaliation against him. He wouldn’t meet The Associated Press at home or in public — only in a car parked in a remote, mostly Shiite neighborhood. Even there, Mehdi kept his face obscured with a scarf, glancing suspiciously at every passing car. Over the years, several tens of thousands of Afghans likely trained and fought in it. Most of them are from Afghanistan’s ethnic Hazara minority, who are among the country’s poorest. Roughly 10,000 veterans of the brigade have returned to Afghanistan, says a senior official in Afghanistan’s Interior Ministry, who is familiar with government intelligence and spoke on condition of anonymity. They reported to a recruitment center in Tehran. There, officials gathered his personal details — names of his parents and relatives and the street where he lived in Herat. “I understood they wanted all that information if I died,” he said. 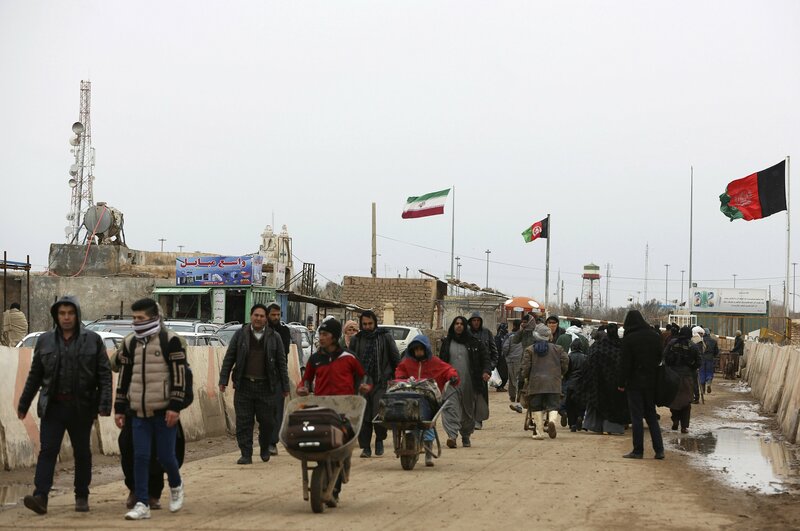 He and other Afghan recruits were flown the next day to Iran’s southern Yazd province, where they underwent 27 days of training under the Revolutionary Guard. Mehdi’s marksmanship impressed the trainers and he was made a sniper. When it was over, Mehdi was flown to Damascus with around 1,600 other new recruits.